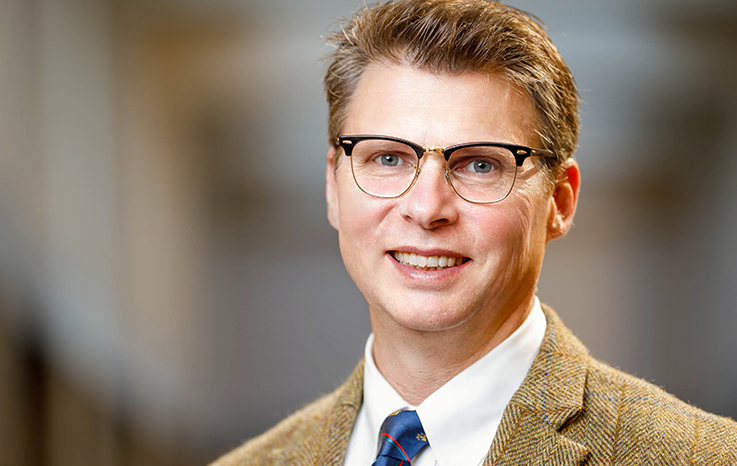 Patrick Griffin, the Madden-Hennebry Professor of History at the University of Notre Dame, joined the Keough School in January 2018 as director of the Keough-Naughton Institute for Irish Studies. Griffin’s research explores the intersection of colonial American and early modern Irish and British history, focusing on Atlantic-wide themes and dynamics. He has published work on the movement of peoples and cultures across the Atlantic Ocean, as well as the process of adaptation. He also examines the ways in which Ireland, Britain and America were linked during the 17th and 18th centuries. He has studied revolution and rebellion, movement and migration, and colonization and violence in each society in comparative perspective. Griffin, who holds a Ph.D. from Northwestern University, is the author of several books, including The Townshend Moment: The Making of Empire and Revolution in the Eighteenth Century (Yale University Press, 2017), a chronicle of two British brothers who helped incite revolution in America and insurgency and reform in Ireland, and The People with No Name: Ireland’s Ulster Scots, America’s Scots Irish, and the Creation of a British Atlantic World (Princeton University Press, 2001). He also is editor of Experiencing Empire: Power, People, and Revolution in Early America (University of Virginia Press, 2017). Griffin is the recipient of several awards, including grants and fellowships from the American Council for Learned Societies (2004-2005), the Huntington Library (2015), the Andrew W. Mellon Foundation (1997), and the Filson Historical Society (2001). He joined the Notre Dame faculty in 2008 and served as chair of the Department of History from 2011-2017. He recently was honored with the James A. Burns C.S.C. Graduate School Award for his numerous contributions to graduate studies.